Great Investment property with tenants in place! This townhome has a great In-Law suite that has been converted to a separate one bedroom property generating extra income. The suite comes with a full bathroom, bedroom, separate living space, and kitchenette. With a separate entrance for privacy. 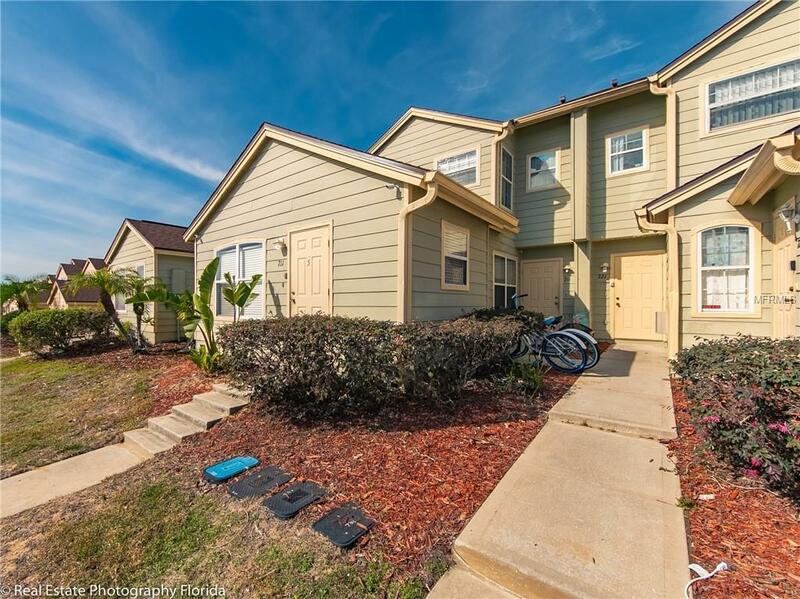 The rest of this townhome comes with a living area, dining area, laundry closet, and full kitchen on the first level. Take the stairs to the 2nd floor where you can enjoy 2 additional bedrooms with a bathroom and a Master suite with its own master bathroom. The master bedroom has skylights, a separate toilet room, walking-closet, and a compo shower with a jetted tub. This community is gated offers great amenities such as Fitness center, heated pool, kiddie pool, steam room, tennis court, playground, basketball court, and sand volleyball court. The community is also zoned for short term rental. Located in a fast-growing area of Davenport. Walking distance to shops, restaurants, medical offices, supermarket, banks, and so much more. Just minutes to Hwy 192 and Hwy 27. Must make an offer on this gem TODAY! Additional Lease Restrictions Full-Time Tenants Must Register And Get A Background Check Done With The Hoa Prior To Moving in. Short Term Rentals Are Allowed! Pet Restrictions Must Be Registered At The Clubhouse After Closing. Listing provided courtesy of Elite Realty Agency Llc.